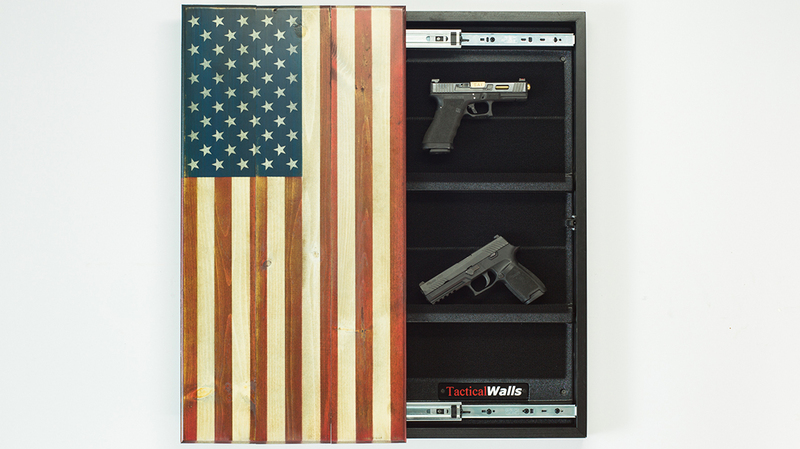 From modular wall systems to discreet coffee tables and shelves, Tactical Walls produces American-made home storage concealment systems. 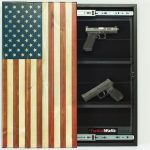 One of these new home-storage solutions is the “MODWall” that helps organize and display all of your “cool-guy gear.” Not only does the MODWall help the average Joe get things organized, but it can be installed in gun shops, non-firearms-related businesses and basement man caves alike. It’s the perfect solution for reducing clutter and will surely improve your relationships with those who might take issue with your fun room mess. Up until recently, MODWalls were only available in kits that consisted of two panels, each 22 inches tall and 48 inches wide. Recognizing that the average consumer might want just one panel for a wall, Tactical Walls has made single 22-by-48-inch panels available for just that purpose and more. 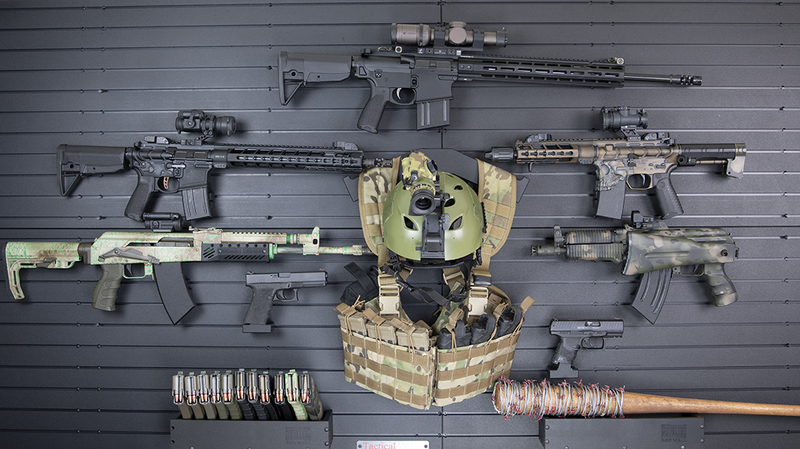 And for those who appreciate package deals, Tactical Walls now offers Operator and Patriot Packages, both of which include accessories to hang your favorite tools and toys in addition to the two MODWall panels regularly advertised. The organization opportunities with the MODWall don’t stop there. Tactical Walls also allows you to completely design your own MODWall package. I ordered four MODWall panels for this article because I wanted to demonstrate the versatility of these cool products. I think of the MODWall as something like a cross between Tetris and Legos for grownups. They also make for a pretty sweet backdrop for the photographers out there. 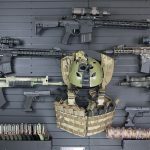 When navigating around the Tactical Walls website, you will find all sorts of neat stuff for the MODWall, such as vest hangers, right- and left-facing pistol and rifle hangers, large and small shelves, shotgun and rifle racks, flashlight hangers and a whole host of other innovative accessories. One of my favorite accessories is the “Hide-A-Mag.” It’s a rare-earth magnet that will not only hide a magazine, but will also hold a small pistol. It can attach to the MODWall or be installed under a cabinet, on the back of a headboard or wherever else you think you need easy access to a concealed weapon. As long as you don’t have little ones running about, it’s entirely possible to use the Hide-A Mag to stash a heater in every room. If you are concerned about security, Tactical Walls offers a whole slew of other products as well. It’s worth mentioning that the company advertises “discrete home storage solutions,” not intrusion-proof safes; their products only keep an honest man honest. Of course, a thief would have to find the tools and toys within their hidden locations first, and that actually won’t be as easy as one might think. Tactical Walls offers what it calls “wall coverings” that recess within the wall and are covered by a mirror, art piece or whatever else you might hang on a wall. New to the line is the “Concealment Flag” wall covering. Nothing screams “MURICA!” like having an American flag on your wall as décor, and behind that flag can rest the very tools that protect our cherished liberties. The choice of locks is one of the biggest selling points to me because my wife and I raised two great kids. Keeping the sticky-fingered curious minds out of your improvised gun closet is imperative. Again, it’s not a safe, but it is a serious obstacle for them. I’m personally fine with leaving a boom stick or pistol loaded in one of these wall coverings due to how we raised our children, but that’s another story for another time. Having a Tactical Walls product being lockable is also great just in case of a home invasion or burglary. There are over 1.5 million burglaries in the U.S. every single year, and the victims may never know when or why their homes were targeted. While a BFS (Big Friggin’ Safe) is king, not everyone can afford that option. And what about those who may rent rather than own their homes? It’s not like they will be able to just start cutting into drywall and moving studs. Well, Tactical Walls has an answer for that, too. It has pioneered an option for hiding your chosen defensive weapons in plain sight. 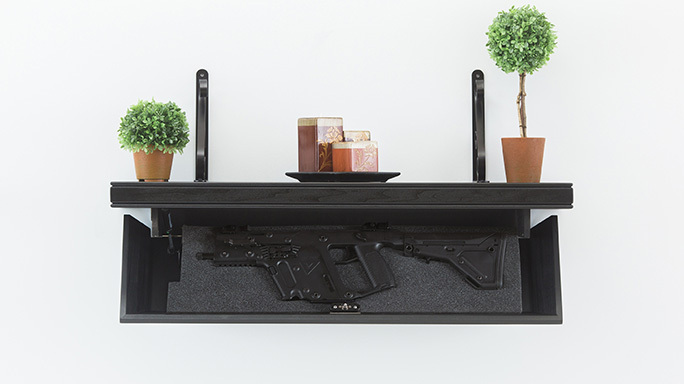 Enter the Tactical Walls line of shelves and tables. I personally own the 812PLS Pistol Length Shelf and the Concealment Coffee Table. These are invaluable tools in keeping your long gun and pistol at the ready while not being obvious in the least. They are both lockable and made rock solid. The pistol shelf mounts to the wall and just looks like a really nice shelf with decorative trim, so it looks great mounted anywhere in the home. I chose the magnet-locking option as we don’t have little ones running around anymore, and I still like the idea of having it lockable. It’s made of “furniture grade birch plywood and comes fully assembled.” You have your choice of finishes, or you can choose “raw” to make it your own. All you need to do is find a spot on the wall and screw it in. Then cut the foam inside, stick your favorite heater in it, and you’re in business. And don’t forget to seal the deal by displaying a nice picture or candle, or whatever else your spouse wants, on top of it. Then it’s officially camouflaged. 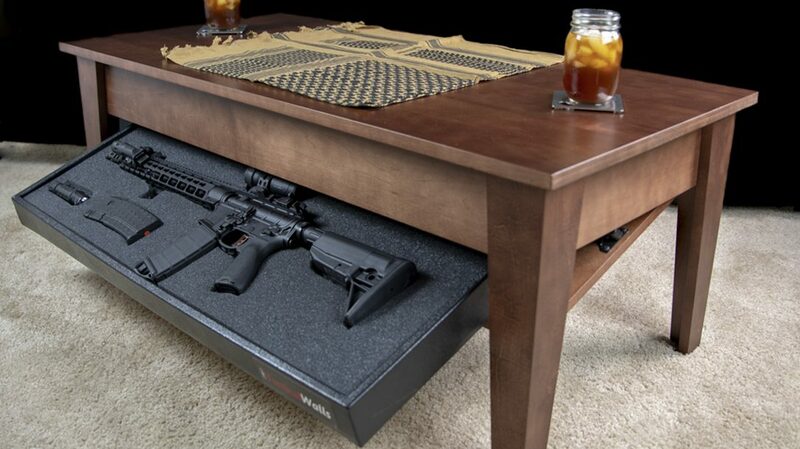 Speaking of camouflage, check out the Tactical Walls Concealment Coffee Table, another ingenious product. I’ve talked about it in the past and will briefly touch upon it for those who didn’t catch the prior article on Tactical Walls’ other products. You can tell the quality of the Concealment Coffee Table in part by its weight and feel. Its table top and legs are solid maple wood, and like the shelves, it’s available in a few different colors and stains, including a clear coat for those who may want a custom look. This coffee table is unlocked by utilizing one of the two supplied RFID cards. What I found was the best option for me was taking a piece of Velcro and sticking to the back of one of the supplied RFID cards, then stashing it within arm’s reach of not only the table itself but also where I may be sitting in my living room. 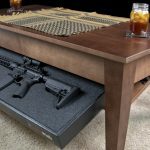 Probably one of the neatest features of the Concealment Coffee Table is that it simply looks like a really nice, but ordinary, decorative coffee table. Not a soul will have a clue that your “war hammer” is gently resting in its hidden location until you proverbially “break the glass” for battle. It’s also great knowing that when I kick back in my living room, I have my trusted friend just inches under my feet. As a retired police officer, it’s actually kind of scary how discrete these products really are. One would never know when walking into a home containing these products just how available the weapons they contain really are to the intended user. That’s a great thing for the owner of these products. If a cop doesn’t catch it at first glance, then a would-be burglar probably won’t either. In the many moons that I’ve spent behind the badge, I don’t recall burglars walking out of anyone’s homes with coffee tables and shelves. So, you should be good to go, unless of course you fall victim to a burglar who also happens to be an interior decorator in his spare time. With that, I highly recommend checking out the Tactical Walls website the next time you need furniture. 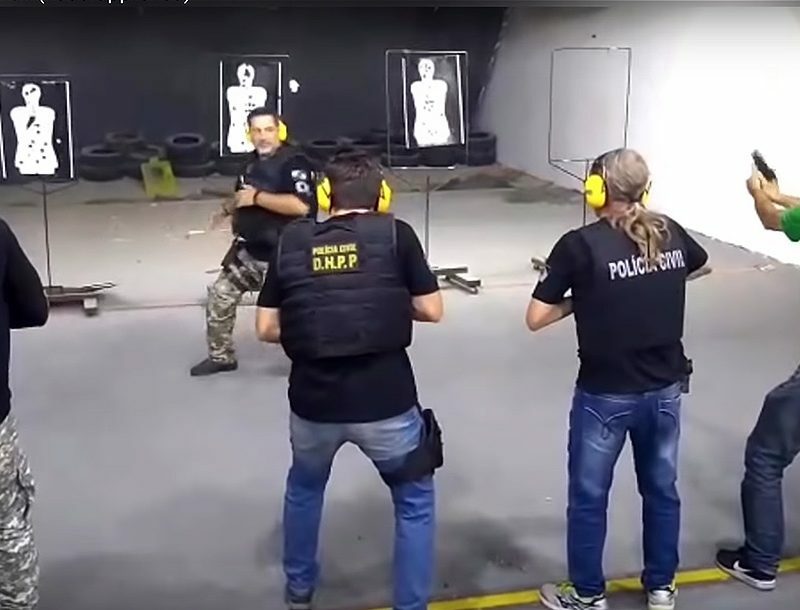 For more information, visit tacticalwalls.com. 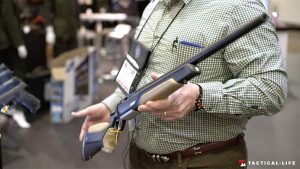 VIDEO: Is the Steyr Monobloc the Most Accurate Out-of-Box Rifle Ever?